Because these certificates must be issued by qualified professionals, (architects, technical architects, etc. ), if you are interested in any property that we offer and if you do not already have the Energy Certificate, at the time of your lease or Sale, the same would be at your disposal, so that you could know the qualification of the property when making a decision on said property. 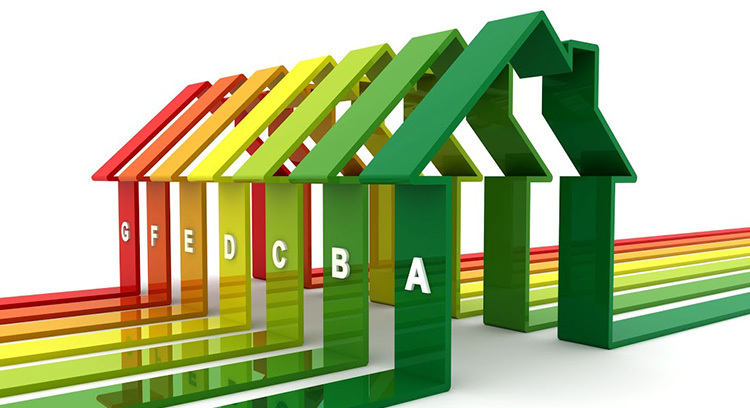 What is the new energy efficiency label for housing? 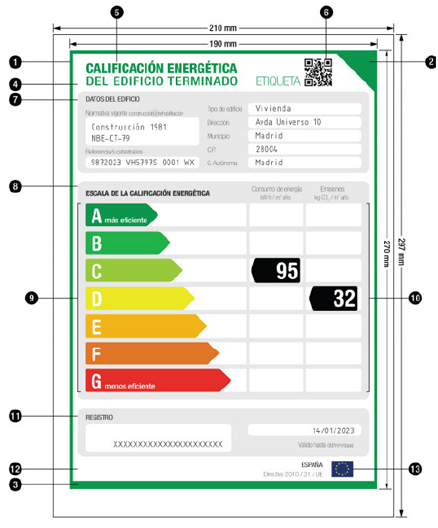 With the entry into force of the Royal Decree 235/2013 of 5 April, Which regulates the energy certification of existing buildings single-family homes, flats or premises from June 1, 2013. A) Buildings of new construction. B) Existing buildings or parts of buildings sold or leased to a new tenant, provided they do not have a current certificate. c) Buildings or parts of buildings in which a public authority occupies a total useful floor area of more than 250 m2 and is habitually frequented by the public. A) Buildings and monuments officially protected because they are part of a declared environment or because of their particular architectural or historical value. c) Temporary constructions with an expected period of use equal to or less than two years. d) Industrial, defense and agricultural buildings or parts thereof, in the part devoted to workshops, industrial, defense and non-residential agricultural processes. e) Buildings or parts of isolated buildings with a total useful floor area less than 50 m2. f) Buildings that are purchased for major renovations or demolition. g) Existing buildings or parts of existing buildings of less than four months per year, or for a limited period of one year and with a projected energy consumption of less than 25 per cent of what would result from their use throughout the year , Provided that this is stated by the responsible declaration of the owner of the house.